Warning: If you're sometime who does not like hearing people talking about their teeth, gums or anything dental, do not read this post. Read other posts on this blog :) Thank you. One of my first posts when I started blogging was about my dental woes. I think it's fitting that I continue posting about this to document my dental saga. Who knows, these posts might save someone else's teeth :) Seriously, I know many people struggles with this issue too. It's not a usual topic of conversation, because "dental problems" is a personal issue, but once someone starts talking about it...it really matters to many. So... many of you know that on May 8, 2007 I underwent a surgery...yes, a dental implant. They planted 3 screws in my gums! When I said it's very expensive, t really is very expensive! $ 6,000+++ just for this surgery. I do not have the "teeth" that goes with the school yet. Another several thousand dollars for those. Since this is "aesthetic", it's not covered by insurance. My husband "almost had a heart attack" when I told him how much this dental implants will cost us. However, when it's all said and done, these implants are really worth it. A couple of weeks after the surgery, I was itching to blog about my experience but I held off. I didn't want to "scare" anyone thinking about undergoing a dental implant. About two weeks after this dental surgery...I was very worried and scared. Why? Because at that time, I was experiencing a slight numbness and a tingling sensation on my lower left lips and chin. I called the Orthodontist and he kept assuring me that it will go away but I was scared that it might be a permanent thing. And so I started my research a.k.a. "Google". I learned a new term. It's called dental paresthesia (or dental parasthesia). I won't go into detail, just read the link I provided if you're interested. The articles I have read are not consistent (or at least not consistent enough for me) so it wasn't much of a help. I also visited some forums about this and that helped a little but my concern was still there. And so I prayed...and prayed hard that this paraesthesia will go away. At that time I was thinking ..."dang..I sent $6K for this???" and "this is why I am scared to undergo a tummy tack... because I afraid it might cause more harm than good.... ;)"
Well....I am glad to share that at this time, the numbness subsided to the point that it's almost gone. It took about 2 months. Yes, 2 months! UPDATE 2-15-08. Sunday Scribblings' prompts are "Sleep" and "Teeth" for this week. I thought it's appropriate to dig up this old post and enter it there. I'm scared of the dentists here in the US, not because of the physical hurt but the hole they make in the pocket. Even with insurance I spent $1,000 just for deep cleaning. That's why for major stuff like bridges and crowns I go to the Philippines. I saved $10K just by having my bridge done in the Philippines even if I had to fly to and from with my daughter. I hope your 'teeth' will be OK now. Liz, I just had dental work in my teeth which cost me 5K. 2 root canal, crown lengthening, 2 crowns, and a bridge. my face was swollen for a week and a half so i had to take an antibiotic. dentist suggested implant but i chose for cheaper option which was bridge. i have been telling my teenagers to take care of their teeth so they don't have to go through what I went through. they don't seem to take me seriously though. I can so relate with your dental woes... one of the most expensive things I have spent with would be my teeth. I also had surgery when my former dentist didn't do my root canal properly. oh, it's really awful! To think, it was my front tooth, so it swelled up to my nose. So, I changed dentist and he did surgery and all that stuff! That's why I keep telling my kids to take of their teeth. Oh my..........my hubby may need to have a dental implant done, our dentist is checking on options for a missing front tooth. I don't think I will have him read you post. And the cost of something like that....ugh! We do have good insurance so I hope that helps. God Bless you in your dental woes. Liza, I empathize with you completely. My mom had horrible teeth,and finally, at 51, got dentures and implants. She always felt "old" after that, but her teeth had given her grief for years, and her new set looked fab. I also empathize with the cost: I seem to never walk out the door w/o needing a filling renewed or a crown/root canal. I guess the body decays whether we take good care of it or not! I'm on day 3 of recovery. So, far no pain killer today or yesterday. a very good lesson indeed! Thanks for sharing. I, too, have had dental woes, and my advice is "Never have any major work done by a dentist until you have talked to at least three other satisfied patients." I still have face pain from a tooth I had pulled two years ago. There is a piece of tooth stuck in my gum somewhere, a hole into my sinus, and a green stick fracture of the maxilla. i fearfully am looking at replacement of three molars,, and have no funding,, or insurance,, so i am just crossing my fingers and hoping something comes along before i have no chewing surface to speak of!!!!! and the non humor in the whole thing is i have beautiful white lovely teeth... how could this happen???? Despite your warning, I cringed, but made it through. I am so scared of having to have something major like this done to my teeth. I have a couple of caps, and I hated getting them done. I also wish I had worn braces when I was younger. I think I am too old now, and it seems like everyone else has perfectly straight, perfectly white teeth. I don't like mine. P. S. You don't need a tummy tuck! I think any thing remotely connected to dental is 1)more expensive than life and 2) more painful than life. Good luck to you! And to all dental patients! When did that happen? My son, Raphael will have the same procedure done to him (can you believe, he's only 17 and already lost his front tooth) Anyway, as soon as we can come up with 5000.00 God know when. But this was very informative. Thanks. I had a crown replaced in mid July and during the applying of the anesthetic in my lower gum I felt a electric shock sensation. I have had a prolonged paresthesia in my lower lip and chin for 6 weeks now. I was told by my dentist that it can take up to at least 8 weeks to regain sensation and feeling again.The feeling is coming back very, very slowly. Hopefully full recovery will eventually occur. On rare occasions the paresthesia can be permanent. I just had my 4 wisdom teeth extracted three weeks ago. 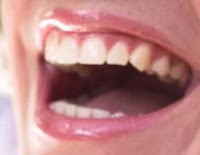 I presently have parasthesia in my lower lip, chin, and lower front gums/teeth. This is very painful resulting in discouragement. My dentist acted like this was extremely unusual and did not even diagnose this. Through research, I have learned of my medical term. Research has shown that this condition may go away or may be permanent. How in the world can I work/live with this continuous pain! Does anyone know of treatments/surgeries that can be done to help or eliminate the pain? Thanks for your input! I am sorry to hear about your situation. I suggest finding another dentist for second opinion. What I expereinced was just numbness and tingling but was not too painful. If yours is painful, something is needed to help alleviate the pain. My parasthesia lasted more than 4 weeks so I am hoping and praying that yours will be healed to like mine, in time (maybe a few more weeks). She has written various informative and fruitful article. I like it very much. Teeth is vital no doubt about this. So this is awesome. Nice blog. This is my second visit and was truly worth it. I have bookmarked your site for future reference! I found this blog very interesting to read and also very useful at the same time. I liked the message at the end of this blog good work....keep it up. I agree with you that it is good to maintain a good oral health in order to have a strong healthy teeth and also overall health. Look for a number of consultations before you commit to the operation. Proper education can also lead to proper prevention, but if not, then a top-notch dentist Double Bay should be able to fix your problem. Anyway, my teeth are still in good health (thank God!) and my dentist houston texas confirmed it just a week ago during my twice-a-year visit.